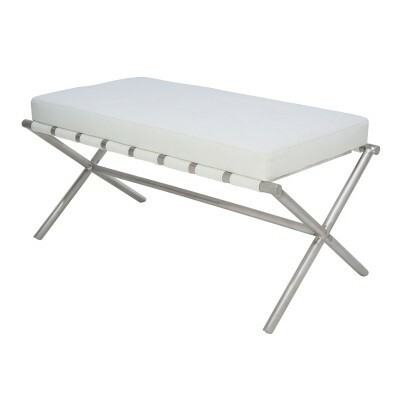 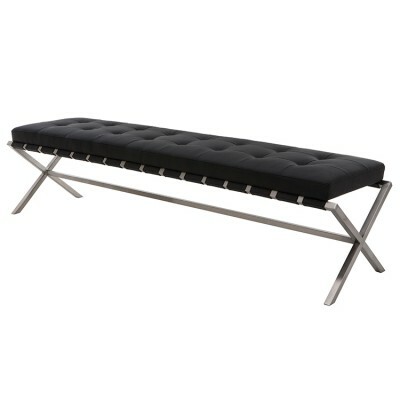 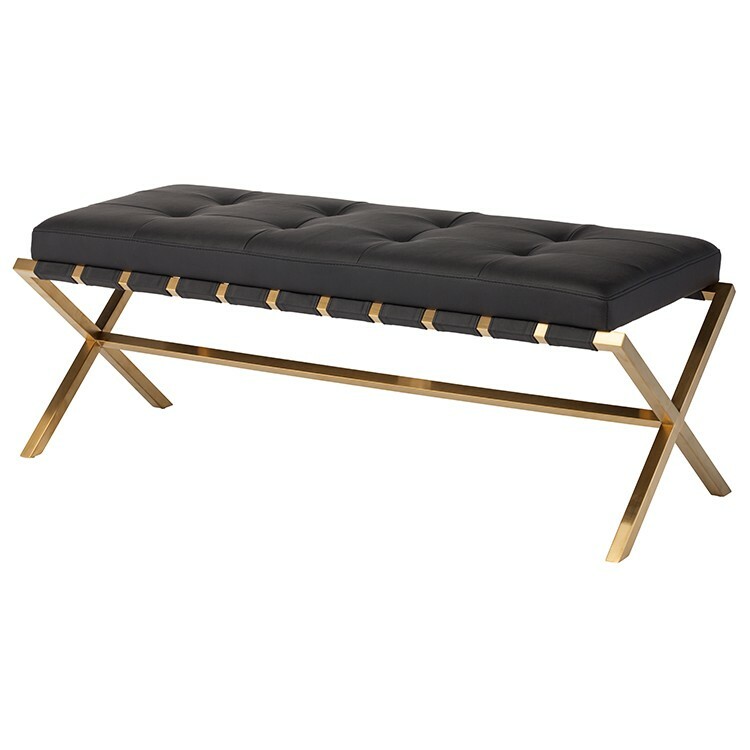 The Auguste small bench is comfortable and elegant. 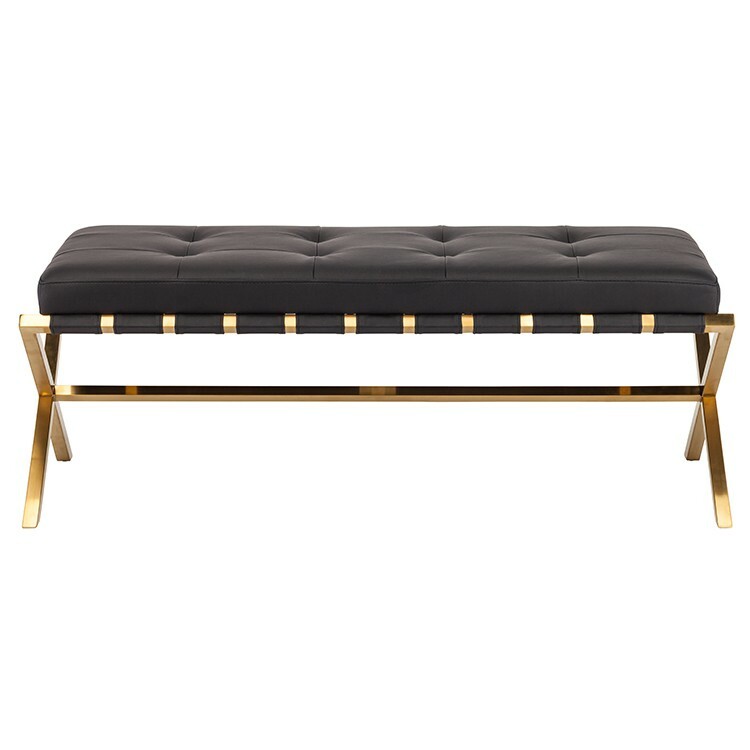 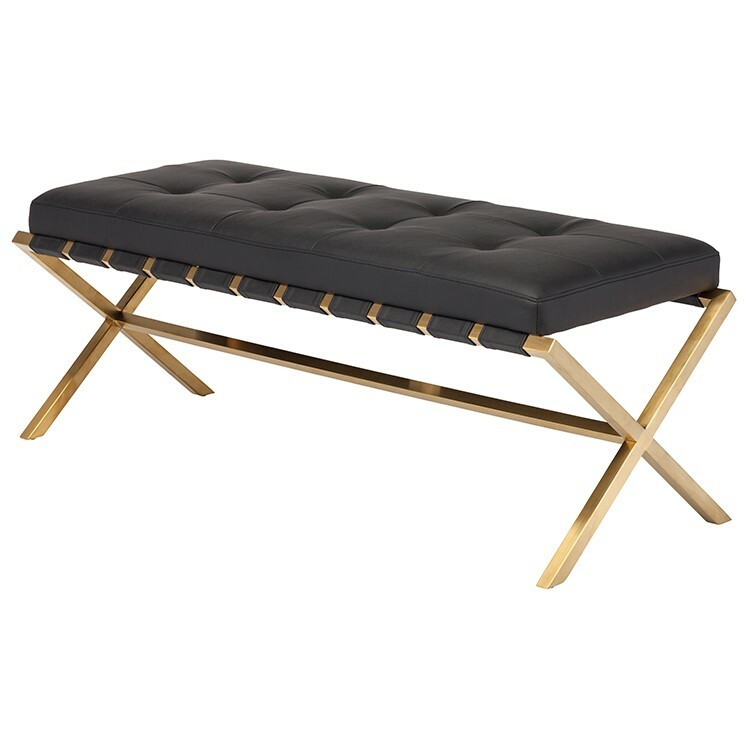 An X shaped 59 inch brushed gold stainless steel frame wrapped with saddle leather strapping supports a tufted black Naugahyde cushion running the full length of the bench. 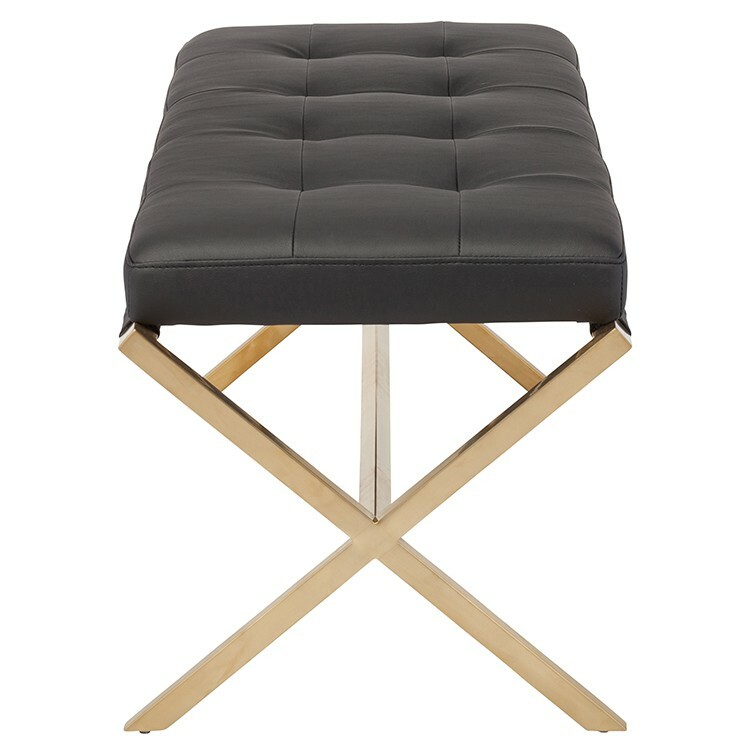 Comfortable, restrained elegance.